The primary mission of the IAM’s world-class education facility, the Winpisinger Center, is making education available to all Machinists Union members. Current and future officers, activists and members come to Southern Maryland year-round to learn the skills and tools they need to grow and more effectively represent the membership. That mission is why all of the Winpisinger Center’s leadership programs are also available in Spanish. Spanish-language programs are coordinated, developed and delivered by a mix of Winpisinger Center staff and the Spanish Language Working Group (SLWG), which is made up of members, officers, activists, staff and retirees from across the IAM who volunteer their time. Since the first Spanish language program at the W3 Center in 2006, nearly 800 members, activists, and officers have completed Spanish-language programs. Spanish-language programs at the W3 Center include Leadership I, Leadership II, Advanced Leadership and Train-the-Trainer. Two staff programs, Organizing I and Collective Bargaining, are also available in Spanish. The members of the Spanish Language Working Group truly make the IAM’s Spanish-language programming possible. Next up is the Spanish Train-the-Trainer Program, to be held August 12-17, 2018. If you have completed Leadership I, Leadership II and Advanced Leadership, you are eligible to participate. Please contact your Local Lodge Officers, Business Representative or General Chairperson for information on how to enroll. 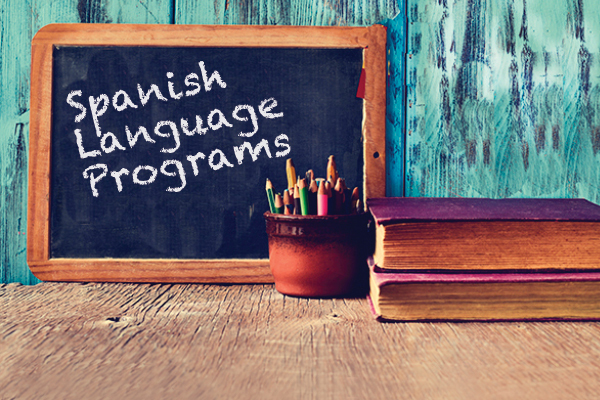 Download Spanish Train-the-Trainer Program enrollment forms in Spanish or English.